In the evolution of my makeup wearing life I have had a very few beloved foundations. L'Oreal Visuelle. Revlon New Complexion. Bare Minerals. Foundations that gave me the coverage I craved and made my skin look like I wished that it did, without makeup; even toned, smooth, pretty. It's been a while since I've had a foundation that makes me completely happy, when I apply it. A foundation that I can call my Holy Grail. 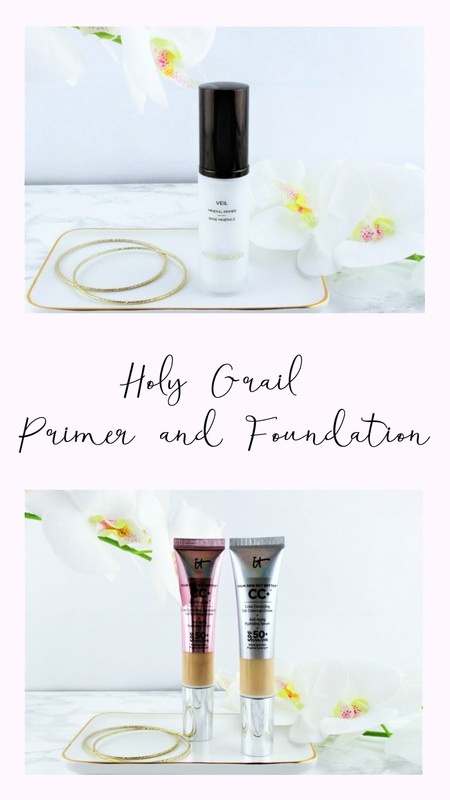 Today, I'm sharing with you my holy grail face primer and foundation. Read on to find out why I love these products, so much. Hourglass Veil Mineral Primer, $54.00 - 1 fl. oz. is a silicone based primer that, funny enough is meant for oily skin but I find that the formula works really well even for my very dry skin. The silicone based primer slips on, leaving it feeling soft and velvety while it diffuses the appearance of pores and fine lines and wrinkles. My foundation glides on and looks smoother and more even and it's locked down, all day long. Even in the summer. Hourglass claims a chemical free SPF fifteen but with only 4.20% Zinc Oxide and 2.45% Titanium Dioxide in addition to the very small amount I apply, I would never rely on this primer to shield my complexion from the sun. I always apply the proper amount of a good mineral sunscreen, before makeup to protect my skin from UV rays. 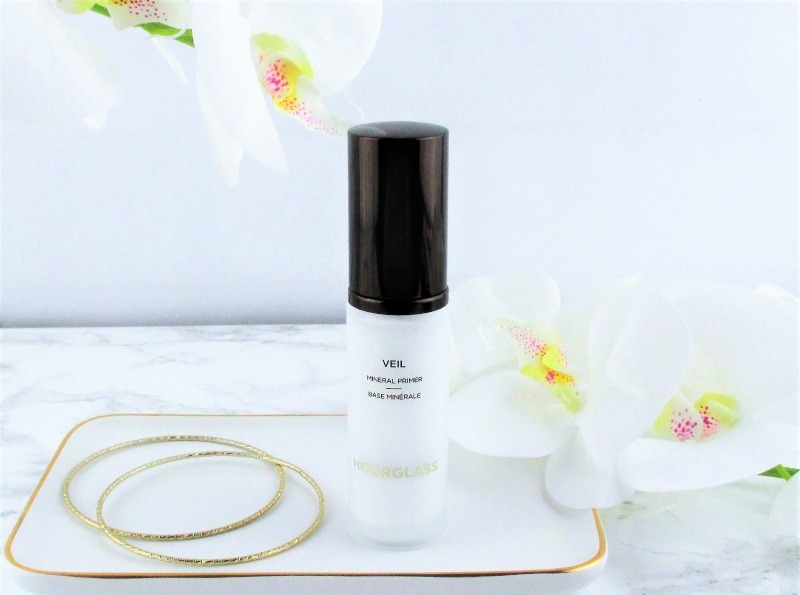 Hourglass Veil Mineral Primer is paraben, gluten and oil free and it is vegan and cruelty free. 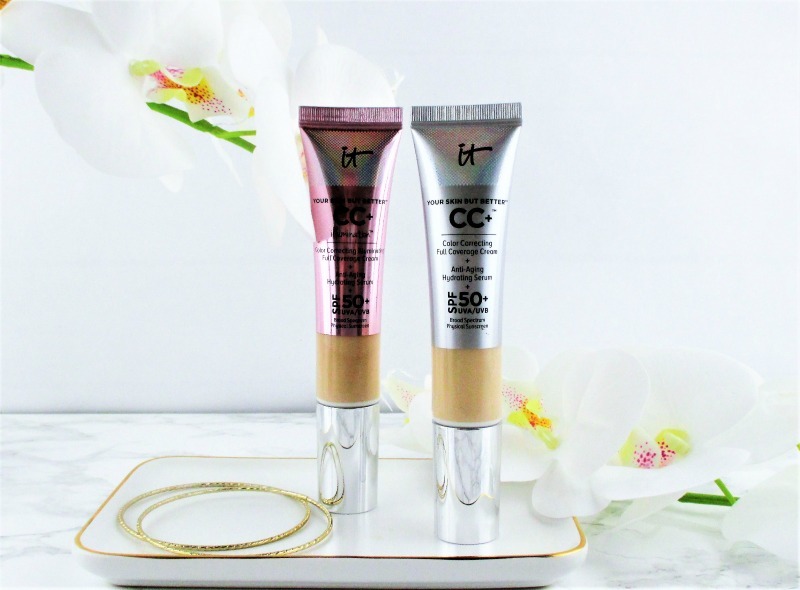 IT Cosmetics Your Skin But Better CC+ Cream with SPF 50+ and IT Cosmetics Your Skin But Better CC+ Illumination Cream with SPF 50+, $38.00 1.8 fl. oz. (Fair) One pump of each, mixed together, first applied with my fingers then sheered down and buffed in with a synthetic kabuki gives me the perfect, light coverage, a smooth, evened out skin tone and it lasts, all day long. I love that these CC creams don't sink into all of my tiny lines and folds and they don't make my face look like forty miles of bad road, like so many foundations do. The SPF 50+ thanks to Zinc Oxide 6.3% and Titanium Oxide 9.0% is helpful but it's not my sole sunscreen, by a long shot! IT Cosmetics is cruelty and paraben free. Sadly, my one time Holy Grail foundation, Hourglass Vanish Seamless Foundation Stick is no longer in my life. Hourglass added Octinoxate to their formula so it was bye-bye to one of the best foundations I have ever used. What are your Holy Grail primer and foundation? This is a Makeup Wars collaboration and you can find a gallery of links at the end of this post so go check out the other ladies' favorites. I love the regular IT Cosmetics CC Cream! It has awesome coverage for me! I am not in the least bit surprised that we selected the same primer! I really need to pick up that CC Cream! I am so glad you wrote about mixing the regular CC and the Illuminating. I never thought of that but it would extend my IT CC Cream. The Illuminating is a bit too shiny for me but it would work great that way. I guess the consensus today is Hourglass Veil!